Ultimately,Ugrešić‘s most dire forecast is for the writer: “As a specific human species, the majority of writers are facing extinction. Whether writers fall into the critically endangered group like Sumatran orangutans, the endangered group like Malaysian tigers, the vulnerable group like African elephants, the near threatened group together with the jaguar, or in the least concern group with the giraffe — let’s leave that to the experts.” At least the writers might take solace that they’re not alone? 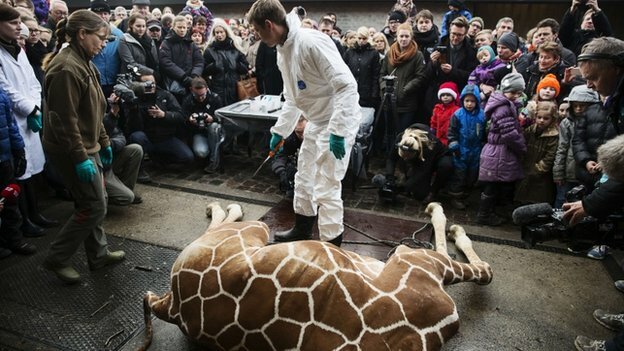 But then, as of late, the fate of the giraffe at Dutch zoos isn’t an enviable one either. In the categories of writers, however, the fate of the female author is even more dire. Ugrešić writes of the lose-lose situation the female author faces, and her inherent insecurity in the male dominant literary culture. A cult of personality is required for a woman to be canonized, and this is something more common among the fine arts, she laments, while she provides a fascinating analysis of Marina Abramović’s The Artist Is Present as an act of self-deification. Wonderful essay, this looks absolutely fascinating. Sad that a sensitive writer like Ms. Ugrešić can’t have all the time she needs for solitude and contemplation. Looking forward to reading her books; I hope she has a good time at AWP. 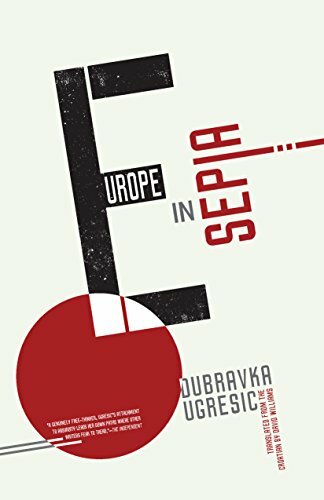 Re: Ultimately,Ugrešić‘s most dire forecast is for the writer: “As a specific human species, the majority of writers are facing extinction. Over last few days, I saw beautiful graphic illustration of Langston Hughes poem, forwarded link to a wonderful cartoonist (@lucasadams) and he “favorite” this so many others may now see it. I never would have even known of Lucas Adams, the cartoonist, 30 years ago. Looking forward to reading her books!